Don't bother to read this review - just go and buy the book. Make haste. Do not delay. Just buy it. Unlike many of my readers (I suspect) I don’t like visiting gardens. Not usually. I like poking around in ditches and hedges. I value surprises above choice; nature when left to its own devices rather than careful planning. So what on earth am I doing liking this book? Even the wild-plant meadows in it have been put there on purpose by enthusiastic gardeners and enthusiastic owners. Well, for a start, one’s own life experiences influence how we react to anything and two are relevant here. 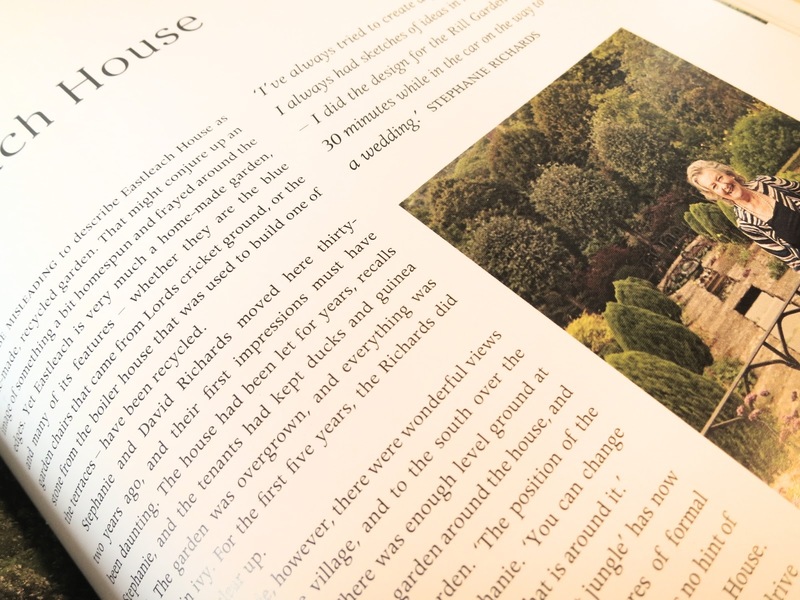 The first is that I opened the book in the expectation of a good read because the text is written by Victoria Summerley whose blog about her London garden I followed from its very first entry. When she moved to Gloucestershire I drifted off a bit; in part this was because her focus shifted as she took up her new life in a rural setting; and partly because the frequency of her posts grew erratic. There were long gaps. Perhaps because she was writing this book. And quite right too for blogs are ephemeral. This book isn’t. There’s such a strong sense of history one feels this is but a stage – the story so far – and that readers in the future will be bound to want to read it as a way of understanding their present – just as it leads us to ours. For the people who live in these houses are there as real people; they have interesting ancestors (both genetic and in the sense of previous owners) who fought in wars and got ill, who ran out of money, who died. 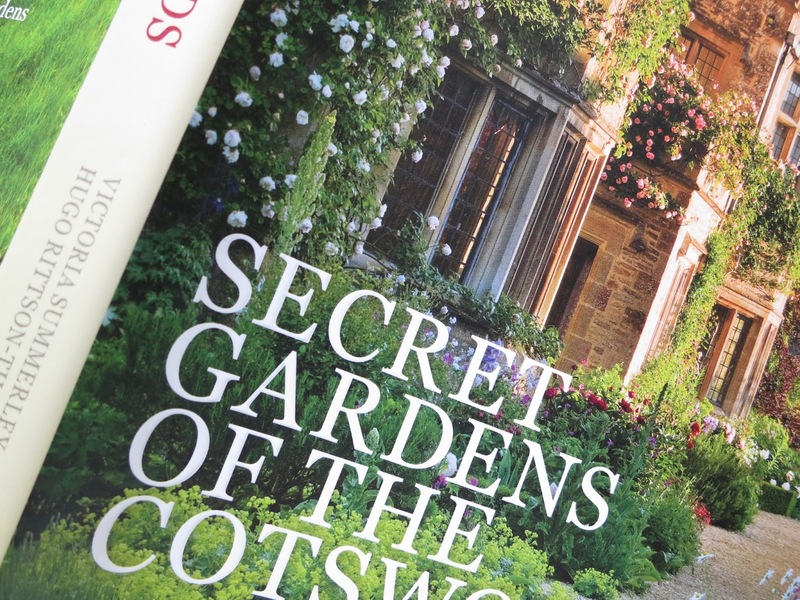 The other reason I was more open to this book than usual is that I recently visited the National Trust gardens at Kingston Lacy in Dorset. I didn’t expect much to like it. It was there so I went. Visiting National Trust properties doesn’t rate high on my list of enjoyable ways to spend a day. It reminds me too much of being dragged round them as a child - when the idea of ‘Educating the Family’ oozed from every parental pore so strongly it was never clear whether my parents really liked stately homes any more than we children. And once I had grown up? Well, I associate it with late-middle-aged couples wandering round in lace-up shoes and peaceful awe; something they do together after lives of separate work-places; a diversion for the semi-geriatric who haven’t anything better to do. 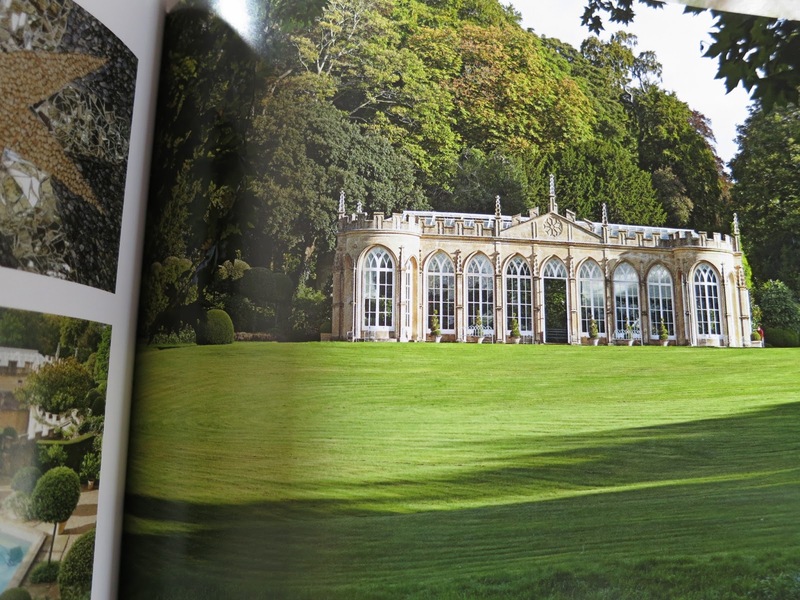 Not Kingston Lacy but p.71 in the book: The Orangery at Daylesford Houses, Kingham. But Kingston Lacy won me over. The first thing I saw was the largest lawn I’ve ever seen. And I don’t like lawns. But this lawn . . . one’s immediate impulse was to run across it. And that’s what we did (two adults and two teenagers). And because we dived straight into an open treasure chest of games (we chose quoits and played beside an old tree with branches swooping swingingly close to the ground) we felt properly at home before we explored further. So I was in the right mind to appreciate this garden as a garden rather than an adjunct to a historical visitor attraction; and found that admiring those who choose plants and trees and decide where to put them needn't be a distraction from enjoyment but a proper part of it. 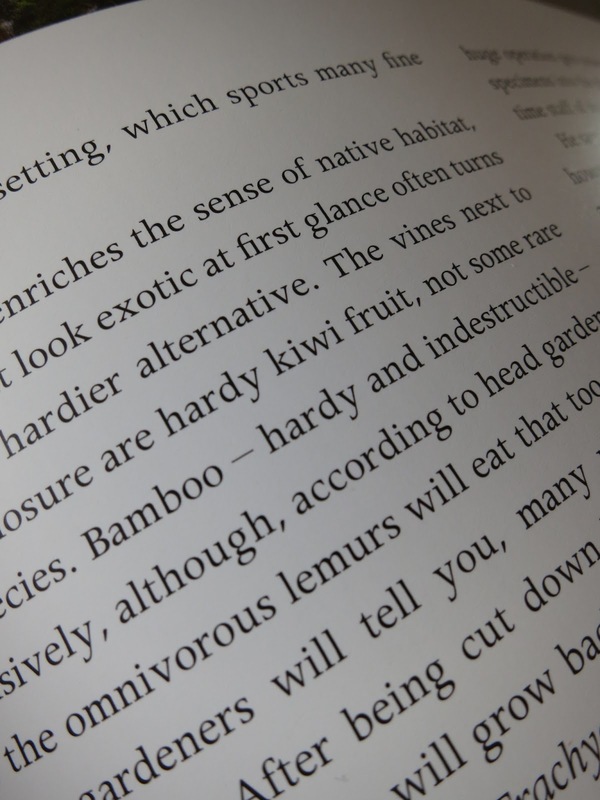 Now, the gardens in Victoria’s book (apart from one with a zoo) are not the kind you can pay to see on a regular basis – if ever. They are privately owned and privately cared for. That’s what’s secret about them. Nor are they of the Frances Hodgeson-Burnett kind - wild and neglected places behind walls with locked gates. They are gardens lovingly tended by the people who live there and their gardeners. For these are ‘posh’ gardens. Gardens owned by wealthy people who can afford ‘staff’. People from another world than mine. - If I were rich and had a big garden maybe I wouldn’t be as struck as I am by ditches and hedgerows! There are outbursts of topiary (disgustingly ugly in my eyes). And there are knot gardens of box (elegant and entrancing from my inconsistent view). There are sculptures and ornamental buildings. But for the most part - sometimes despite the artifice and sometimes because of it - these gardens have an air of spontaneity. Not that this feeling of nature itself being the artist really comes from nature; it comes from effort and wealth and a sense of time. And you need to know time to create gardens like these. (And money!) You sort of have to know where you’ve come from and what a tree looks like when it is old to make them this way. I don’t know what I should do with my left-wing principles here so I’ll put them temporarily aside. 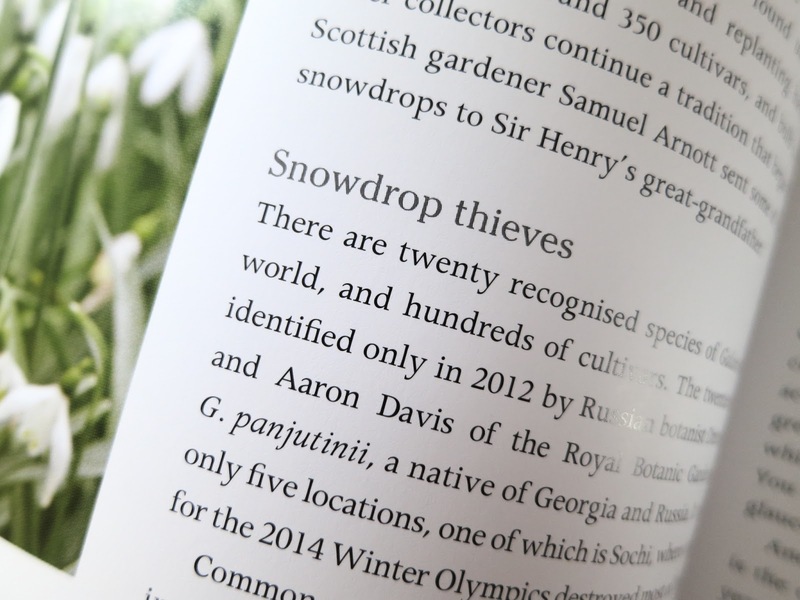 But the people, the history behind these gardens, is why the text is important. This isn’t a picture book with text thrown in. The text is engaging. It’s well written. It’s interesting. It’s the basis of the book. None the less – the photographs. The photographs! The photographs from Hugo Rittson-Thomas! I have books with very muzzy pictures. I bought one specially so I could identify seaweeds and can hardly make out anything so it’s pretty much useless. But these are fabulous. Each one is a proper picture, not an illustration. 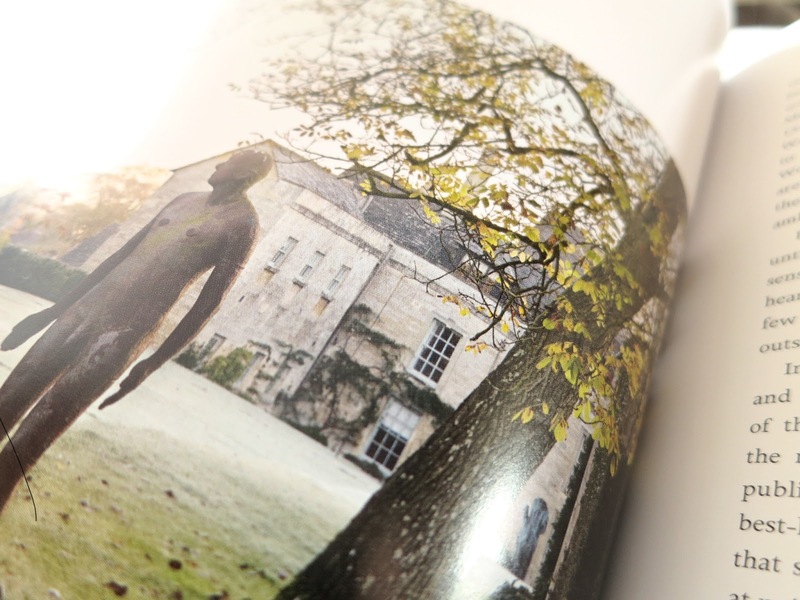 Just as the gardens have been skilfully designed to look informal, the photographs are works of art that perfectly complement the text rather than distract from it; they are neither rubbish nor pretentious. Whether they are of glades, arbours, frost on grass, mist in valleys or vegetables and fruit trees - they catch and hold the eye. Oh, just go and buy it. It’s published by Frances Lincoln, costs £20 and its ISBN number is 978 7112 3527 4. No excuse! P.S. The publishers sent me this book absolutely ages ago (January). But better a late review than never. Well you can tell you have been struck by this book and have sold it to me..
Well I never! "A diversion for the semi-geriatric who have nothing better to do"! I'll have you know my wife and I love visiting British gardens (when we can afford to get over there), National Trust gardens included! We associate it with our first break from 20 years of raising kids, 20 years ago now. And if we still want to get out of the house, fly to Europe and go on garden adventures after working hard for 40 years, we'll do it! (The driving on the wrong side of the road is more of an adventure than the gardens). 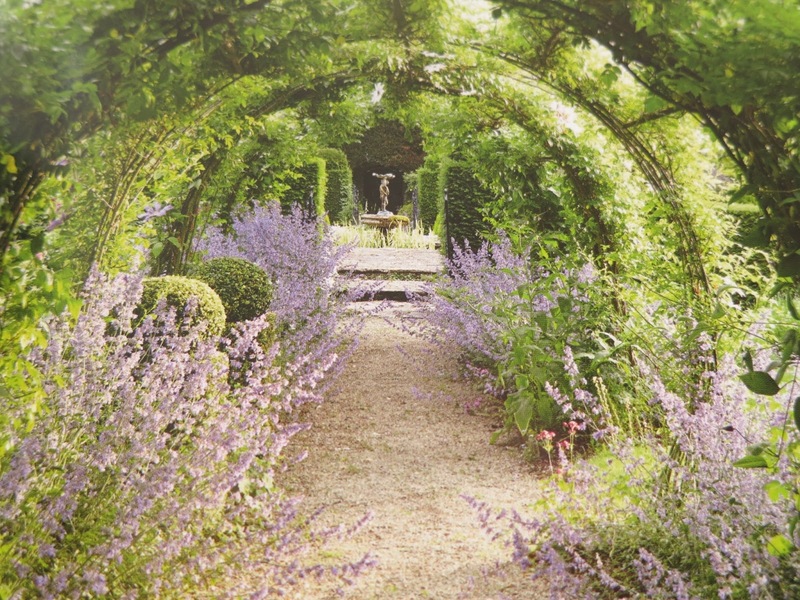 We had a wonderful 4 days in the Cotswolds last summer, and thoroughly enjoyed the gardens! Glad you cme up with this book - and be a little more sympathetic to us old folks! (You can tell I don't like being labelled "semi-geriatric"). Hello Amanda. If you do get it - it will be interested to know what you think. Hello Furry Gnome. Well, maybe I may be a little bit converted after my visit to Kingston Lacy. Indeed, I'm now a fully paid up member of the National Trust and have been poring over the map supplied and dreaming up more places to visit. (It's not the first time I've belonged either.) None the less, rightly or wrongly, I think the image I describe fits what many people think of National Trust membership in England - even though there were families with small children who looked as if they spent a lot of time there; and Brownsea Island is often abuzz with children. It's a funny thing about 'image'. There are probably quite a few stereotypes that have negative or comedic connotations that we would also heartily embrace for ourselves. For instance, I would describe myself as a feminist but the image associated with being a feminist is not always a good one. I assure you with perfect confidence I am not ageist; neither middle-ageist nor old-agist . . . After all . . . what age am I? Thank you so much for a lovely review, Lucy. I'm sorry about my erratic blogging - every time I felt like sitting down and writing a post, I'd remember that I still had half a book to write and feel guilty! Blogging is much more fun, believe me. I've always been old and I love National Trust gardens (and Brownsea Island of course). Although I am usually disappointed by the interiors of the posh houses. I'm glad you liked Kingston Lacy as my 3-great grandfather Neri Poole was a woodman there in Victorian times so I feel attached to it. Did you get as far as the kitchen garden (a long way from the house)? And did you go to Badbury Rings nearby?